We’d love your help. Let us know what’s wrong with this preview of The Mythic Modern by Travis Price. The Mythic Modern offers an significant antidote to the perception of the American abroad, chronicling a remarkable fifteen years of design-build expeditions in extraordinary locales all over the globe by an international team of architecture students focused on exploring, not exploiting, the local cultures, mythologies, and metaphors and leaving astonishing, affecting str The Mythic Modern offers an significant antidote to the perception of the American abroad, chronicling a remarkable fifteen years of design-build expeditions in extraordinary locales all over the globe by an international team of architecture students focused on exploring, not exploiting, the local cultures, mythologies, and metaphors and leaving astonishing, affecting structures in their wake. Led by Travis Price, FAIA, who, since his early days in the Green movement has been sensitive to both the eco- and ethnospheres, these excursions find in their designs a balance of the tribal and the modern, the mythic and the practical, the place and its spirit. 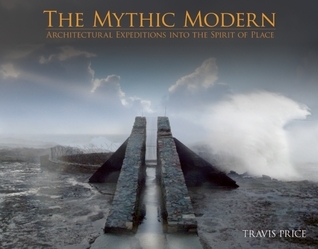 To ask other readers questions about The Mythic Modern, please sign up. My newest, and favorite addition to my collection of books on Architecture. This might have a little to do with the inclusion of my picture, and name, in the final featured project in Nepal. Memorial to the Ancestors of the Magar People. AIA Washington, DC Chapter, Award of Excellence winner, 2011. In truth, the book is beautifully written and photographed. AMAZING images of sacred spaces built by students in interesting places, which most wouldn't even dream architecture could exist... Forward b My newest, and favorite addition to my collection of books on Architecture. This might have a little to do with the inclusion of my picture, and name, in the final featured project in Nepal. Memorial to the Ancestors of the Magar People. AIA Washington, DC Chapter, Award of Excellence winner, 2011. In truth, the book is beautifully written and photographed. AMAZING images of sacred spaces built by students in interesting places, which most wouldn't even dream architecture could exist... Forward by Wade Davis, and excerpt on the task of architecture by Juhanni Pallassmaa.